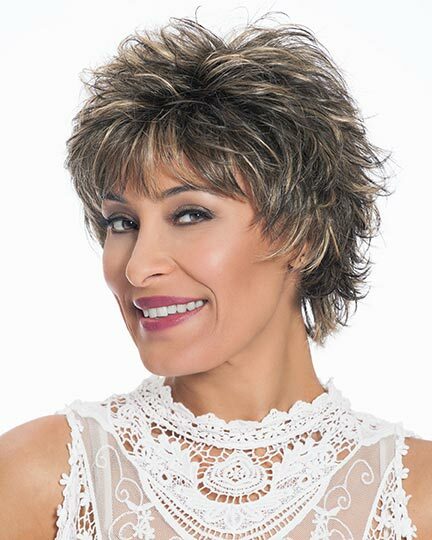 Fringe: 3.25", Crown: 4.25", Nape: 2.6"
Brianna, designed by Noriko Suzuki for TressAllure Wigs, has short razored layers with beveled ends for a spiky chic style. 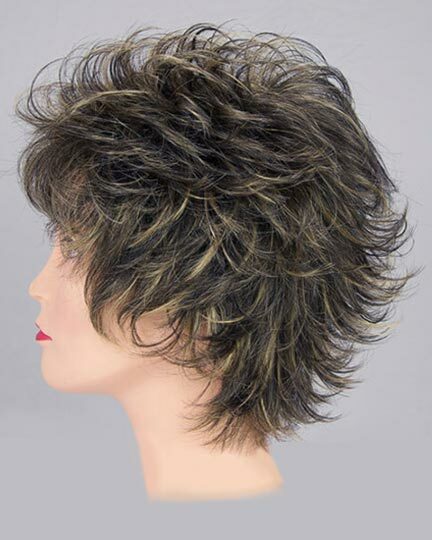 The hair is flipped up in the nape area. 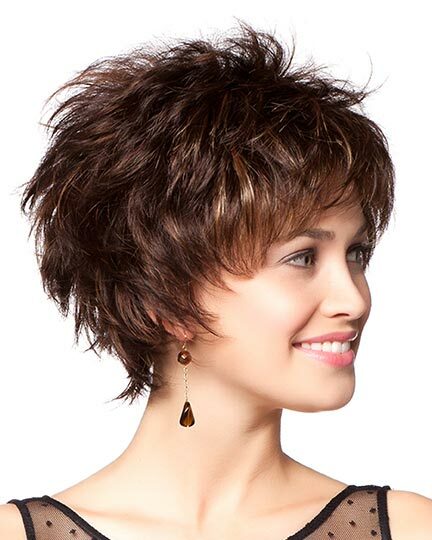 TressAllure Brianna features a standard weft cap construction for all day wearing comfort. 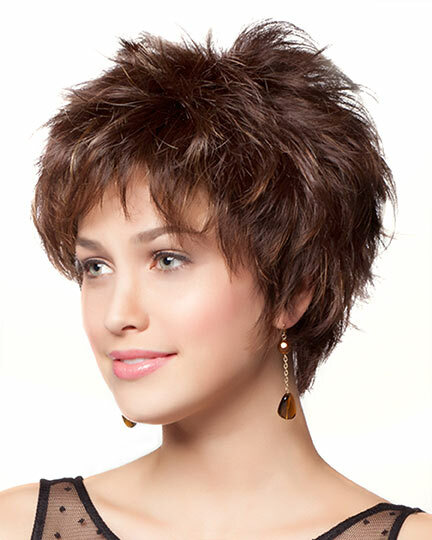 Brianna may be worn as is or with synthetic hair care products to create a more personalized look. The second color way shown for Brianna is Mocha Gold. The third color way shown for Brianna is Deep Sepia. 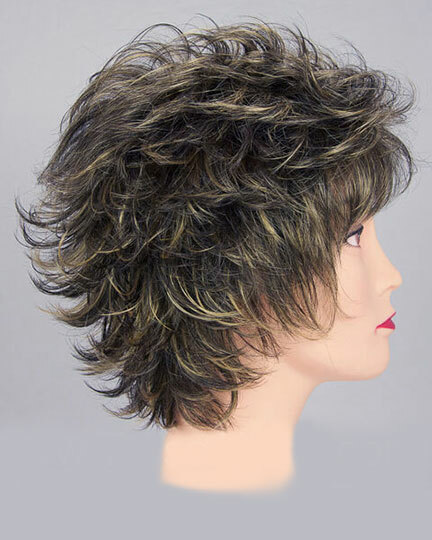 The Brianna wig weighs 70 grams. 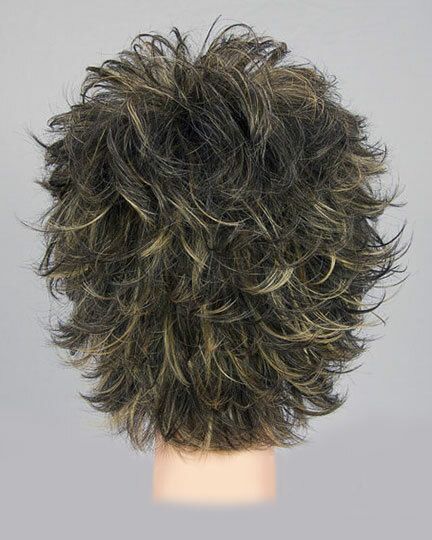 There are 24 colors available for Brianna. To Buy Brianna, Click On A Small Swatch Below. If you would like to discover other products that share some of Brianna's qualities try the links below.